The College has been housed within its own section of the campus since January 2003 and it has a very proud record of academic excellence. 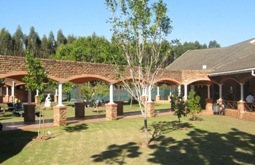 Apart from academic excellence, the tranquil location and the values-based system that Grantleigh offers, set it apart. 2. NSC phase (Grade 10 – 12) who write the IEB National Senior Certificate. 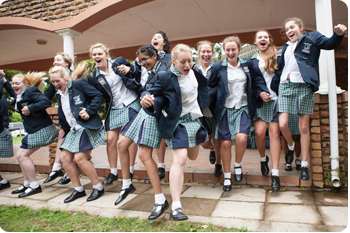 As an independent school, Grantleigh enters their Grade 12 pupils in the Independent Examinations Board final exams, therefore they compete against the top independent schools in South Africa. Assessment for the National Senior Certificate is based on a portfolio of evidence which constitutes 25% of the mark and the final examination which constitutes 75% of the mark. Some subjects, such as Art and Drama, which have a large practical element carry a higher percentage of the portfolio. All portfolio work is externally moderated. The focus at Grantleigh is on providing a holistic education where academics are balanced with culture, sport and decent values. However, to encourage academic achievement, a system of Gold Bars operates to recognise the top academic performers in each grade per term. (The Little Eagles) is designed to give our top academic achievers recognition and to continue to stimulate them both academically and culturally. We also aim to extend their awareness of the community around them and to offer talks and excursion, bearing in mind the time constraints and their commitment to their present timetable. Gold bars are awarded at the end of each term to those pupils who have achieved an overall aggregate of 80% (Grade 10) or 75% (Grade 11 - 12). To achieve an academic badge at the annual Prize Giving Ceremony, a learner needs to achieve an annual average percentage of 80% (Grade 10) or 75% (Grade 11 - 12). has inculcated in his/her character values such as honesty, respect and integrity. has a sustainable work ethic, that will enable each individual to meet academic expectations. However, we do not believe that excessive examining results in the successful acquisition of these necessary skills. A more gradual introduction to exams allows for pupils to be coached in their exam technique, and the exams are set in such a way as to facilitate this development. The result of this policy decision affects the number of exams written and thus only those subjects that have the greatest proportion of time allocated to them on our timetable are examined. In taking this approach, we have alleviated some of the stress that is associated with exams and we emphasise the educational principle that exams are the NOT the only means of assessing our pupils. Gold bars are awarded at the end of each term to those pupils who have achieved an overall aggregate of 80% or more. If a pupil receives a gold bar in each term or achieves an average percentage of 80% or more over the four terms, she/he will receive an academic badge at the annual Prize Giving Ceremony. A.C.E. is a programme aimed at providing those pupils who achieve in either humanities or sciences an opportunity to be enriched outside of the classroom. We achieve this by arranging visits to the theatre, art galleries and universities. Over the past five years, A.C.E. has provided a great deal of motivation for our pupils to achieve academically. The Grade 7 students participate in this incentive programme from the beginning of the second semester. 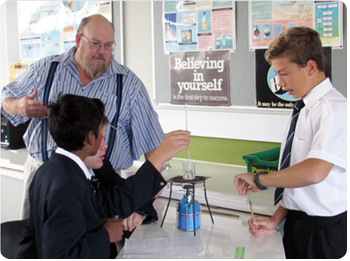 One of the most important functions of our Middle School is to instil values in the lives of our students. There is no doubt that these character traits will ultimately give each individual the capability and moral strength to succeed in the 21st Century. 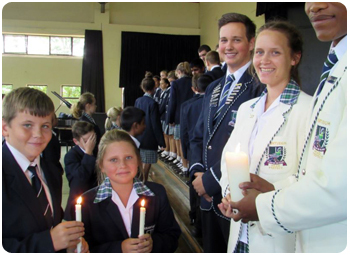 We believe it is important to acknowledge those Grade 9 pupils who have developed and demonstrated sound values as part of their characters, as they move into Grade 10. The students are recognised for the following characteristics: Good Manners, Leadership, Perseverance, Service to the Community, Service to the College, Sportsmanship, All Round Contribution to our Middle School Life, Diligence, Enthusiasm, Goodwill and Harmony. In this phase important issues pertaining to the students' development, physically, emotionally, cognitively, morally and spiritually, can be addressed in such a manner that we enable each individual to become an effective member of our society. Grantleigh provides an ideal environment, through the Middle School, in which the young adolescent can thrive and develop the necessary skills to be an effective adult.